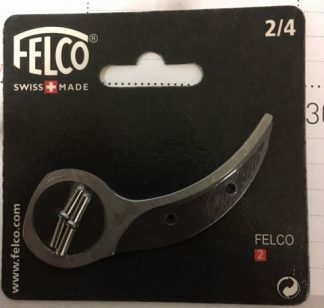 Felco Replacement Part 2/3 fits the F-2, 4, 11 and 400 Hand Pruners. Felco Replacement Parts. Model # 2/3. Fits: F2, F4, F11 and F400. The high quality replacement blade will keep you up and pruning. Easy to replace when sharpening is no longer an option. Don’t forget to buy a Swiss sharpener.